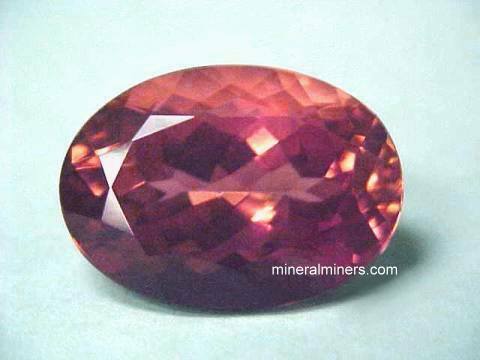 Try our Natural Color Tourmaline Gemstones Satisfaction Guarantee - compare our prices and our superior quality. 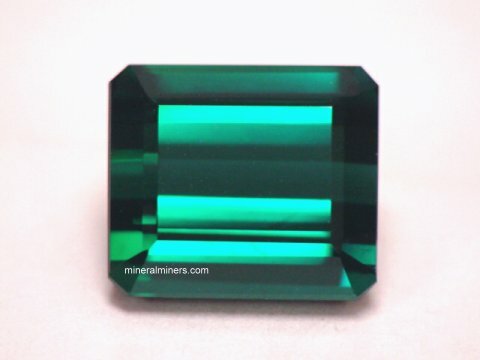 Click on any natural bi-color tourmaline gemstone or multi-color tourmaline gemstone image below to enlarge it. 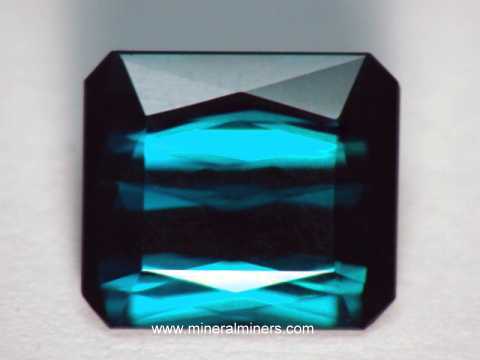 This beautiful gem was faceted from a natural tourmaline crystal that was mined in Nigeria. It is totally clean to the eye, and it is exceptionally well cut in this octagon shape. It has a medium pink-peach color at one end that grades into deeper burgundy hues at the opposite end (100% natural colors - this gem is unheated and untreated). These beautiful natural colors mix and blend as you turn the gem! 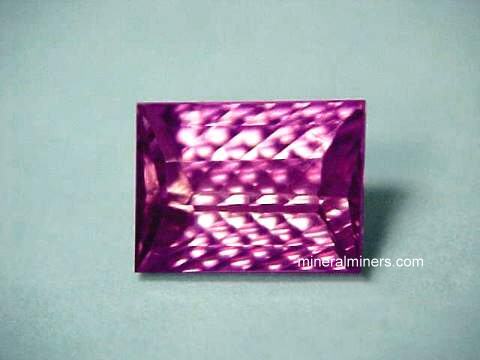 Our mineralminers.com miner's price price for this sunset tourmaline gemstone is $120/carat x 9.45 carats = $1134. 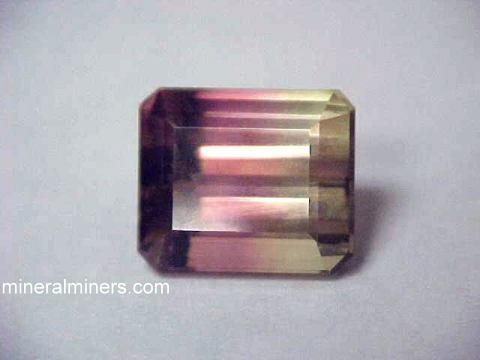 This is the end of our Bi-color Tourmaline Gemstones & Multi-color Tourmaline Gemstones page. 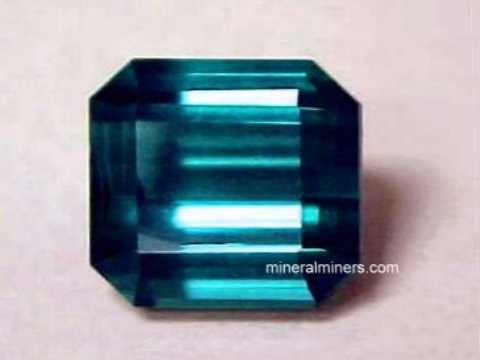 See also our pages displaying natural color blue tourmaline gemstones, our natural color pink tourmaline gemstones, our natural color green tourmaline gemstones, and our natural multi-color tourmaline jewelry. 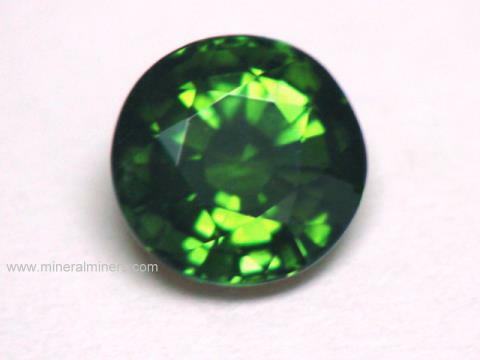 We have natural tourmaline gemstones that were mined in Brazil, Africa, Madagascar, Sri Lanka and Afghanistan. Each of our tourmaline gemstones is completely natural and unheated with no treatments of any kind. Our tourmaline gems are available in all sizes and qualities including very rare quality extra large size flawless tourmaline gemstones. 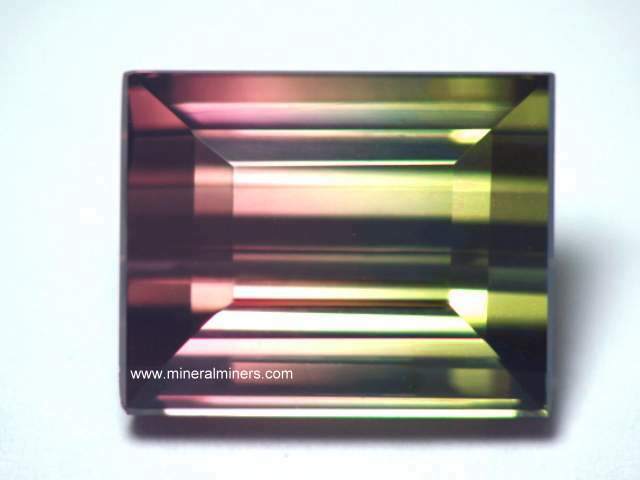 To see more bi-color & multi-color tourmaline photos, just select another item category from the table below. To see photos of another mineral variety, select any item category link in our Mineral Inventory & Factsheet Index. 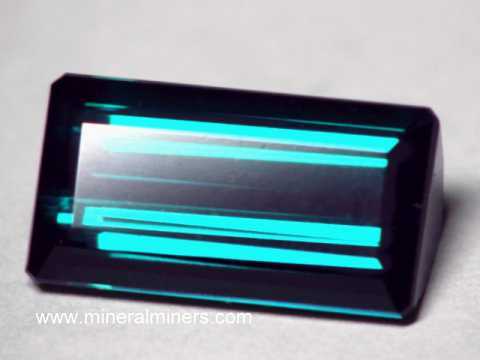 Would you like us to inform you when we add more natural color tourmaline gemstones with more than one color (bi-color gems and multi-color gems) on this page? We have a limited inventory of natural multi-color and bi-color tourmaline gemstones in stock, so be sure to let us know if you have any natural multi color tourmaline gemstone special requests. Please contact our webmaster or our 'site' geologist with any questions or comments regarding our genuine tourmaline gemstones.